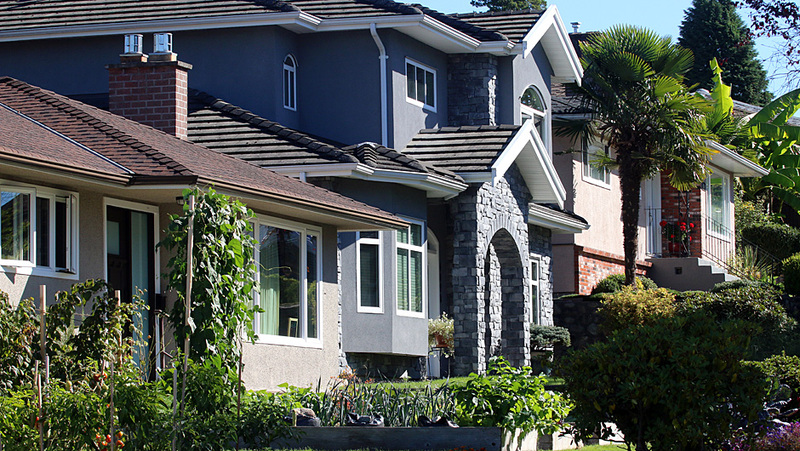 Generally speaking there are four common types of property ownership in Canada; Freehold, Strata, Co-Operative and Leasehold. There are advantages and disadvantages to each of the types of property ownership. It’s important to know the differences between the different types of property ownership when you’re shopping for a new home. Freehold is the most common type of property ownership. It’s what we traditionally think of as property ownership; you own the building and the land it sits upon. Freehold is the most common property ownership where you own the home and the property it sits upon. This type of ownership gives an owner a great deal of freedom when it comes to maintenance of the home, property design and renovations to the building or land. Most restrictions on freehold properties come from city zoning, bylaw and permit limitations. Most single family homes are freehold. 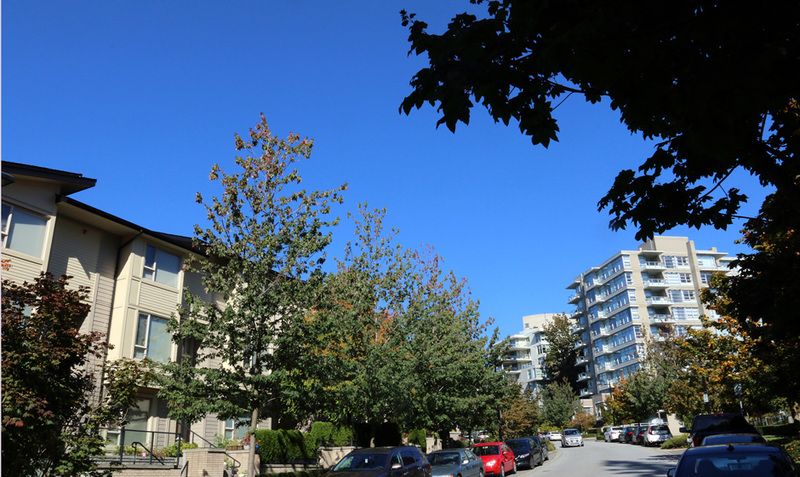 Most condo and townhouse developments are strata properties. Single-family detached home strata properties are rare, but they do exist. 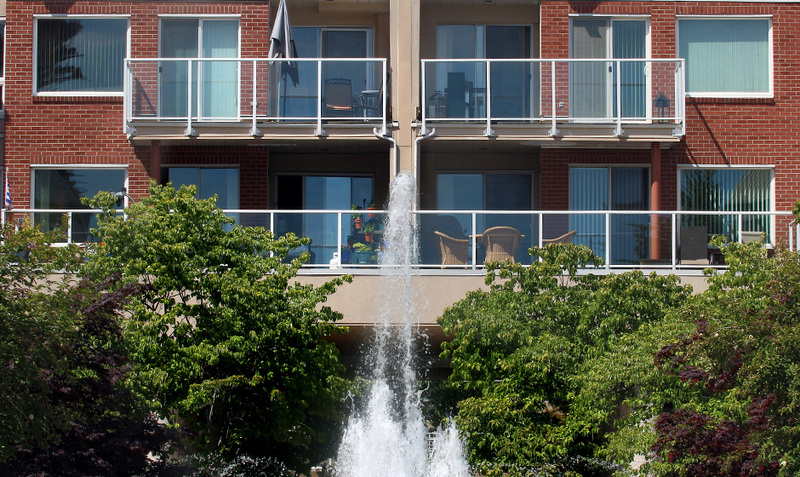 Condos and townhouses are usually strata property ownership. When you buy a strata property you are buying the exclusive space within the unit while everyone in the development shares ownership of the common property like the grounds, parking and storage areas, hallways, amenity rooms, roof, etc,. You are responsible for the maintenance and upkeep of your unit but the costs of looking after the common property are covered by monthly fees charged to every owner. These strata fees are proportional to the size of your unit; if you own a large two-bedroom unit you’ll pay more than someone living in a small bachelor suite. As strata properties are comprised of a number of people sharing common spaces, there are rules and bylaws that govern how those spaces can be used. There may also be rules that regulate what you can do in your own private space so it doesn’t have an adverse impact on your neighbours, or the common spaces owned by everyone. These rules are set by a council of owners that is elected by owners in the strata. The council is also responsible for the strata corporation that is set up to administer the strata. They set budgets, hire contractors, adhere to maintenance schedules, get repairs done, deal with complaints and infractions of the rules and bylaws. How a strata council is set up and functions is regulated by provincial laws. Co-op property ownership is similar to owning a unit in a strata. But instead of owning the interior of your own unit and sharing ownership of common property, owners in a co-op each own a share of the corporation that actually owns the building or complex. That share ownership then gives you the right to occupy a unit within the co-op, provided you don’t break any of the co-op’s rules and you pay your housing charges on time. Some provinces require housing co-ops to be non-profit. As you are not buying into the actual real estate when you purchase a co-op, you’ll require a different kind of financing from your lender called a share loan. It works much like a mortgage except your share in the co-op is the loan’s collateral, instead of the property. Like a strata, all owners in a co-op share the expense of repairs and maintenance through monthly fees. Owners in a co-op must follow rules and regulations set and administered by a co-op board which is elected by members of the co-op. The co-op board also has the power to approve or reject prospective new members. The board’s decisions must comply with provincial human rights legislation. A variation on a co-op is cohousing. A cohousing development is a community of households that live independently while sharing communal facilities like a kitchen, dining area, playground, laundry facilities, storage. Residents share in common activities like communal dinners, caring for children, cleaning, maintenance. Cohousing developments are often set up as non-profit corporations that then become developers of their own complex. Ownership of individual units is usually structured like a strata. A local example of a cohousing development is Cranberry Commons in Burnaby. Living in a leasehold property is like living on borrowed time. When you buy a leasehold property, you own the building but the property on which your home sits is owned by somebody else who has leased it back to a builder or developer. Typically those leases last for 99 years. When the lease expires, the property’s owner could choose to renegotiate the lease to current market rates. Or they could reclaim the property as their own for redevelopment after buying out owners at fair market value. In Metro Vancouver residential developments on property owned by Simon Fraser University and the University of British Columbia are leasehold as are some developments built on First Nations reserve land. The federal government, municipalities and private companies and individuals can also own leasehold land. New condo developments at Simon Fraser University have been built on leasehold land. Most developers prepay the cost of leasing the land, then incorporate that into the selling price of their projects. If they didn’t do that, then you’ll be paying rent on top of your mortgage payments, strata fees and taxes. And you won’t be protected from periodic adjustments to reflect the current value of the land. While most properties appreciate over time, a leasehold property can actually depreciate, especially as the lease gets close to expiring. That uncertainty over a property owner’s future plans for their property can make it more difficult to get financing for a leasehold property. The lender could require a larger downpayment or it could be amortized over a shorter period of time. Despite their uncertainty, leasehold properties can be a good option for property ownership, especially if they’re still early in the lease period. They can be cheaper than freehold properties or offer better value in desirable neighbourhoods. But the uncertainty that comes with leasehold can make them a poorer investment than other types of property ownership. There is a fifth option for property ownership, called co-owning. It is becoming a viable option for some families who’ve been priced out of owning a home. Co-ownership is when two or more owners enter into a legal agreement to own a single piece of property. Usually co-ownership involves family members, such as parents and grown offspring, who may share the same home or live autonomously in separate dwellings like a house and laneway house. Co-ownership agreements are complex documents, with plenty of legal protections to safeguard both parties in the agreement as well as the lender financing the mortgage. If co-ownership is an option, it’s best to consult a lawyer experienced in constructing such agreements.